T Rex Tyrannosaurus Rex Dinosaur Toy at Animal World®. 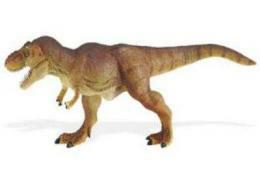 T Rex Tyrannosaurus Rex Dinosaur Toy is dinosaur lover gift educational play fun at Animal World®. 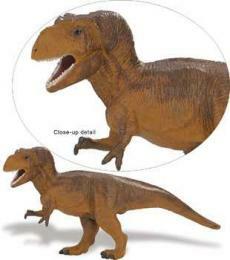 Made of safe, colorfast, durable plastic, this T Rex Tyrannosaurus Rex Dinosaur Toy Miniature has incredible detail and measures 7"L x 3"W x 4"H. To shop all our Dinosaur Lover Theme Gifts click here: Dinosaur Lover Gifts at Animal World® To shop all our Animal Toys click here: Animal Toy Miniature Wildlife Replicas at Animal World®.